For more in depth help with system requirements, and to see if your Mac can run the game, read this blog post. 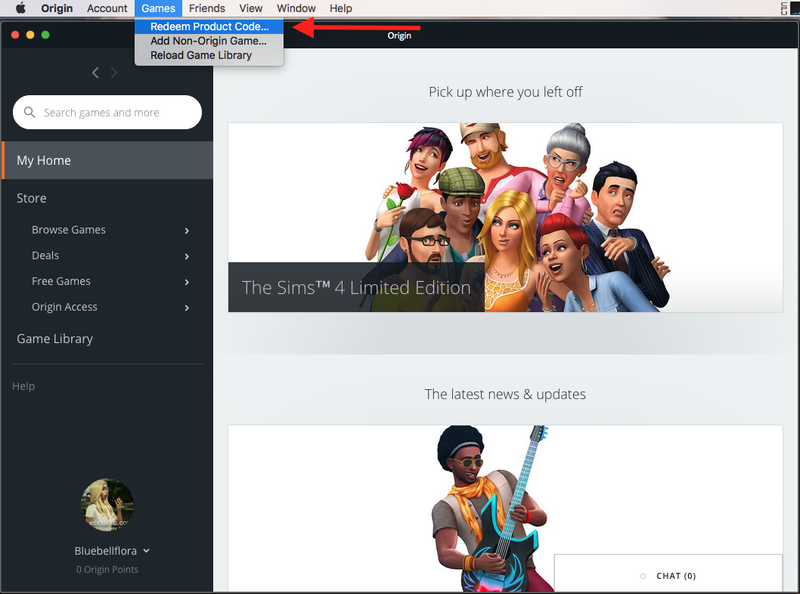 The only way to get The Sims 4 for Mac is to download it through Origin. If you already have the PC version through Origin the Mac version will also be available to you at no extra cost. If you have bought the PC version on disc no problem, simply install Origin, enter your product code and the Mac version will be available to you to download (more detailed instructions can be found here). Download and install Origin from here. If your Mac tells you it can’t install it because it’s from an unidentified developer follow these steps from Apple to bypass Gatekeeper. Open Origin and log in with your EA username and password. If you would like to keep any game installers that you download (so you don’t have to re-download them in the event of having to uninstall and reinstall your game), click on Origin > Preferences in the top menu bar then click on Installs & Saves in the Origin window. 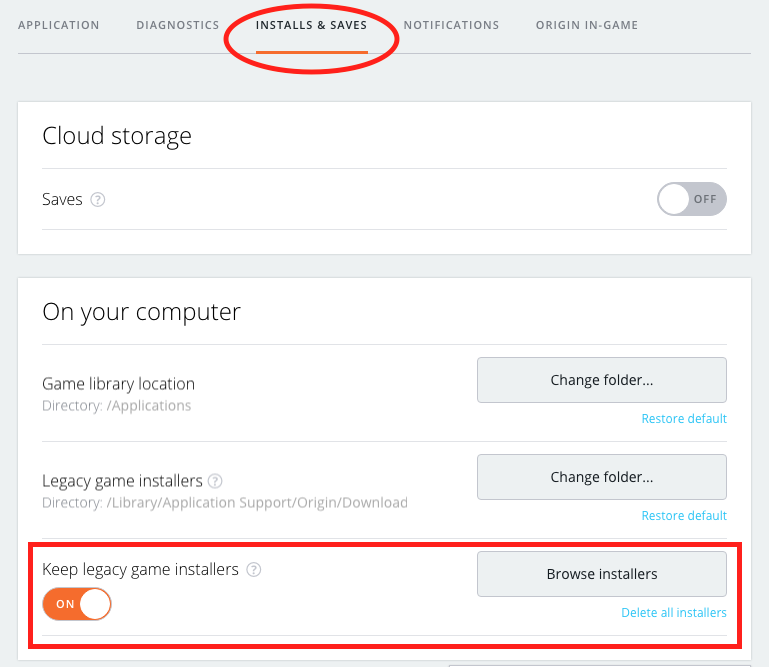 Make sure that Keep legacy game installers is turned on in the options. This is advisable because the game installer for The Sims 4 is nearly 9Gb, that’s a big download! You can also change the file path if you want to save it in a different location. Next find The Sims 4, pay for it and download it. It will automatically install itself. The game will now always be in your Games Library in Origin. If you have bought the PC disc version you can register the product code on your Origin account. Please follow the instructions here on how to do so. Once installed you don’t need to open Origin every time you want to play the game. Just double click The Sims 4 icon in your Applications folder. Origin will automatically open to validate the game. Once I get around to actually installing TS4 on my mac partition, would you be interested in getting a copy of a mods guide (similar to my TS3 one of course)? I’ve already had a few questions about it on my tumblr, but I still want to make sure that all the directories are the same and such. Oh yes please! I’ve had people asking too. There are currently issues with mods which EA are promising to patch….. at some point. Fabulous – thank you! Do you still have my email address? Are you able to send an anonymous message to my Tumblr just with the basics? I don’t think actual links/emails work. Yes it is! I wasn’t sure if you had access to that or not hehe. hi i got a problem. it says that the code has already been used. how can i solved this? You need to be logged in with the same user account you registered/bought the game through. Hi I’ve installed the disc version in my pc. Is it possible to move the game to my mac without re-downloading from origin. No, you must download and install the Mac version. I was wondering because me and my parents are planning to buy Sims 4 as a family game, but we cannot use the PC we have at home, as it has important information that we dont want to lose, just incase something happens with the sims 4. So please reply as soon as possible, as I am planning to get it quite soon and i need help 🙂 Thank you! I have installed Sims 4 on my origin, however, it won’t let me open the game. Help please! Does your Mac meet the minimum system requirements? I tell my game installers to be saved. It says they’ll be saved /Library/Application Support/Origin/DownloadCache. I then start downloading The Sims 4. However nothing Sims 4 will get saved there. Sims 3 installers will go there, but not 4 that I’ve noticed. However if you check Library/Application Support/Origin/CatalogCache and Library/Application Support/Origin/LocalContent ; there are Sims 4 files in both places. I’m assuming one of those two must have the actual installers there, but it doesn’t look right. Any idea of what the installers might be called so I can try searching those two folders? The installers not showing up is a known issue now unfortunately and happens to both Sims 3 and Sims 4. The disk image will show up in the DownloadCache folder during the download process but disappears during the install process. So the only way to save the installers would to download one thing at a time, and make sure they don’t install? Or is it too late for me to do that now? Yes, but you’d have to be quick to stop the download before it starts installing. I am downloading the game on friday, just wanted to make sure I wouldn’t spend money on something that didn’t work on the mac. Thank you. You’re welcome. Hope it works ok! hi, i’m a new sims lover and i was wondering if the origin is the best website to get the sims 4 for macbook pro? and if there are any problems that people have encountered? Origin is the only way to get it for your Mac. Would Sims 4 work well on a regular Macbook? I’ve seen lots of reviews for how it can work on a Pro, but I wasn’t sure if it would work on the older Macs. Is it safe to download from Origin or am I risking viruses? Thanks so much if you see this lol. Thank you so much for your response and advice! It’s disappointing that I can’t play on it but at least I know before destroying it! It’s a good machine and the OS will do a good job of keeping temps. down but it just lacks any sort of oomph. Will the sims 4 work on iMac? No idea, there are many different configurations of iMac since Apple launched them in 1998. I have recently brought the new Mac Pro – I was wondering if I downloaded the version that is linked to this website (price £34.99), would it work on my Mac? Mac Pro or MacBook Pro? If it’s the MacBook Pro then 13″ or 15″? If it’s the 15″ which one? Hi, I have a MacBook Air and my friend have PC, I was wondering if we could share one game througt one EA acount, in fact If it is possible to have one game for one price on two devices? Or downloading the Origin on mac always costs money? When you buy a game through Origin it is tied to the Origin ID, not the computer. You can download it on more than one computer but you can only play it on one computer at a time as it requires you to be signed into Origin to play. Make sure you have all platforms selected in your games library. The Windows version only works on Windows, the Mac version only works on Macs. That’s why you have to make sure you have all platforms selected in your Origin games library so you can see your purchased Windows and Mac games. Did you buy the full version of the game or play it through Origin Access on your PC? Because Origin Access is not available on Macs so you would need to buy the full copy of the game. Click on your games library in Origin then Filter in the top left corner. Ok I’ll try it but it just keeps saying I already have it unless I create a new origin acct ? These are the specs for the Mac I am currently using. Currently in the process of upgrading the Software version. My issue at this time seems to be actually installing Origin. I’ve tried this over 30 times now and the installer launch CRASHES immediately after hitting Agree in the user agreement pop up. After trying to get it to pop up again, the Origin icon bounces like twice then nothing happens. Is the Mac I’m on too old? It’s a 2011 model. Please help! What version of macOS are you running? Origin needs 10.9 Mavericks or later. “At NO EXTRA COST”? HA! Then how come Origin is asking me to BUY the Mac version?